Sony whinging about Nokia 808 PureView as not new Tech? According to TechRadar, Sony is yet another company trying to put down the Nokia 808 PureView. I love your products too, Sony, but this sounds like whining. Just give credit where its due. For about a year? PureView has been in development for 5 years. Whilst pixel binning is not new, Sony, please tell me who else has put this combination of imaging together yet on a phone? Perhaps your point and shoots. Come on, if it’s been around for a year, where is your equivalent? Xperia what? Xperia Duntexist? Sony goes on to say it’s just a technological announcement, not a retail solution. What does that even mean? The product is right there and will appear in a couple of months. Maybe it’s not a plausible retail solution for you, Sony? But, it is still only a technological announcement, it’s not a plausible retail solution yet. Oh well, no one really cares what Sony thinks. No one ever cares when someone says “we’ve been doing that for years” as clearly they haven’t done it quite right enough for people to pay attention. We Nokia fans should know as we say that often about other products. Sony: make something better than PureView’s camera for your mobiles and then talk. 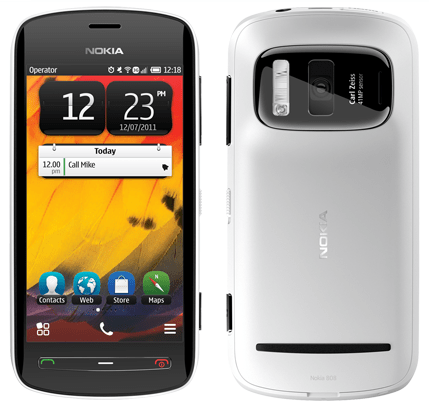 Tech Radar points out many are quick to denounce the Nokia 808 PureView’s technology. Yup, that’s the key word right there. Quick. Quick and ignorant to what PureView actually does. I don’t need to explain it all over again of course as results are speaking for themselves. Touched yet another nerve :D? It’s not about Technology – it’s what you do with it! Cheers Vikas Patidar for the tip!